Elizabeth is Board Certified in Estate Planning and Probate and has been practicing in those areas for more than a decade. She prides herself on making estate planning as straightforward as possible, and her depth of probate experience allows her to navigate the estate administration process efficiently. 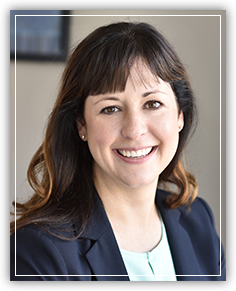 Elizabeth Daniel is a native Austinite who has been practicing in the areas of estate planning, probate, and tax law since 2007. She has drafted wills and trusts for clients with various levels of wealth and assisted with estate administrations for families with a diversity of circumstances. Elizabeth attended The University of Texas at Austin, where she studied Economics and was admitted to Phi Beta Kappa. She continued her studies in Austin, earning her J.D. from The University of Texas School of Law in 2007. Following law school, Elizabeth began her career in Atlanta, Georgia at Holland & Knight, LLP, returning to Texas in 2009. She has since worked for Crain, Caton & James, PC in Houston, Seton Healthcare Family in Austin, and Osborne, Helman, Knebel & Scott, LLP in Austin. Elizabeth founded Elizabeth Daniel Law, PLLC in February 2016. © 2019 Elizabeth Daniel Law. All rights reserved. Site by Zócalo Design.